If you are looking for a few days away or a longer family break then our caravan touring pitches here at Widend Touring Park are just what you are looking for. We are set in the rolling South Devonshire countryside and the heart of the English Riviera where you can choose to relax by our outdoor heated pool, visit one of our many beautiful blue flag beaches or one have a day out at one of our many top tourist attractions. 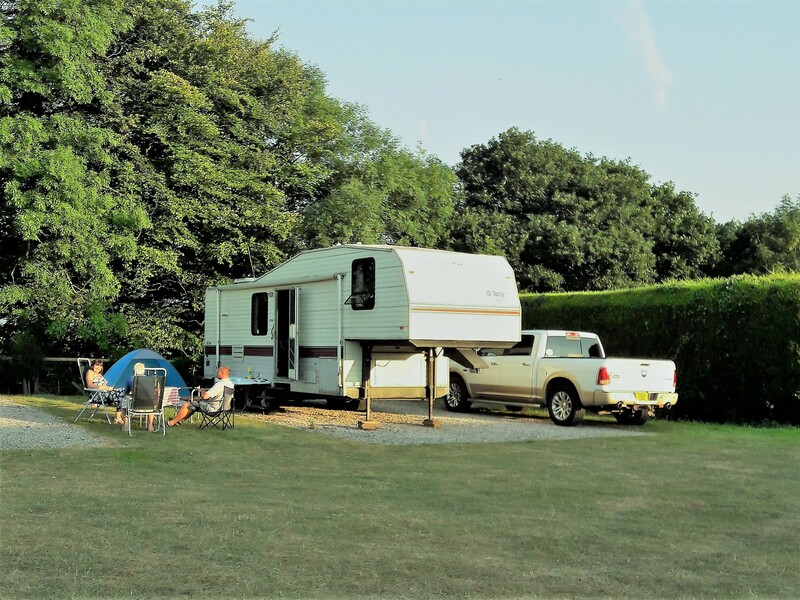 We have touring caravan pitches and seasonal pitches to suit everyone and whether you prefer a grass pitch or hard standing our pitches are large enough to take single axle, twin axle or 5th Wheel. The very large pitches suitable for 5th wheel are limited in quantity and we recommend booking well in advance as these are extremely popular. 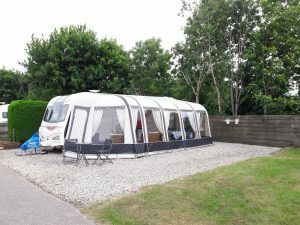 Our touring caravan / motorhome pitches have 16amp electric hook up and are well drained, we have numerous fresh water / waste water points around our site so you are never too far from these. There are also two under cover chemical waste disposal points. You can choose a pitch with or without electric and make use of our excellent facilities including fresh running water, hot showers, toilets, undercover dishwashing rooms as well as disabled toilets and showers. We are dog friendly here at Widend and have an onsite dog walk which includes a woodland walk and a meadow to let your dog run and play. However, if you’re not bringing a dog then we also have doggy free areas, just mention on booking and we can try to accommodate your preference.